In the Present days the GIF file is very popular in either Facebook or WhatsApp. 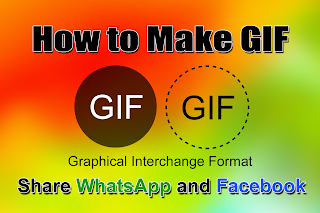 GIF stands for Graphical Interchange format its contain moving objects. animation objected treated as GIF. GIF pronounced as JIF. To make this GIF animated formats we have to use some software’s but that software not freeware its must be paid software. so it’s not free. That’s why we may not use software easily because its paid software so that here i am telling some websites which providing free service to make GIF right now. may be its will also paid content in the future so must ready to make it right now.